THE province of Ba has become the first district to explore the business of twinning with an overseas partner, choosing to undertake joint venture projects in Fiji with a province in China. Last week Ba Provincial Holdings, the business arm of the council, signed a memorandum of understanding with Zhejiang Province from the People's Republic of China for partnership in local projects and initiatives. 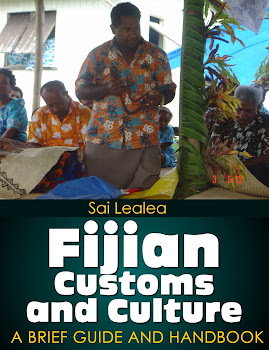 The signing took place last Friday at the Sheraton Fiji Resort on Denarau. The Ba Province was represented by Isimeli Bose, chairman of the Ba Provincial Council and Zhejiang Province was represented by Jin Deshui, Vice Governor Zhejiang Provincial People's Government. "After our initial discussion, we agreed that the best businesses for us to go into together were shipping, minerals, bio-fuel, hardware and broadcasting," said Mr Bose who confirmed that the signing of the MOU was only the first stage of talks with the Chinese province. He said the next step in their proposed joint venture was a feasibility study to further determine the viability of businesses. "They will send a team to work with us on a feasibility study and depending on the outcome, we will begin work on the proposed areas," Mr Bose said. The Chinese delegation included senior government officials and members of State-owned and private businesses. BA Provincial Council chairman Ratu Meli Saukuru believes the proposed new village bylaws are good and should have been introduced much earlier. He said this despite not having sighted a copy of the document himself. "I have not seen it yet but I believe it is a good thing and should have been brought in earlier because a lot of villages do not have proper rules and regulations," Ratu Meli said. "We need to have some kind of reference point to solve disputes and maintain order in our villages." Fiji's biggest provincial council is awaiting the arrival of the bylaws so that consultation can begin with the 107 turaga-ni-koro in the province. "First, the village heads have to take the document back to their respective villages and go over it with their people before bringing it back to us. "We will then compile all the feedback and present a report to the Fijian Affairs Board." Ratu Meli said he also supported the introduction of the proposed village by-laws because it gave headmen a stronger power base. "In the past, if the turaga-ni-koro couldn't resolve a dispute or issue then unless the police were informed, nothing happened," he said. "With these new bylaws, any conflict, dispute or issue that can't be resolved at village level will be forwarded to the court system and I think this gives the bylaws more teeth."